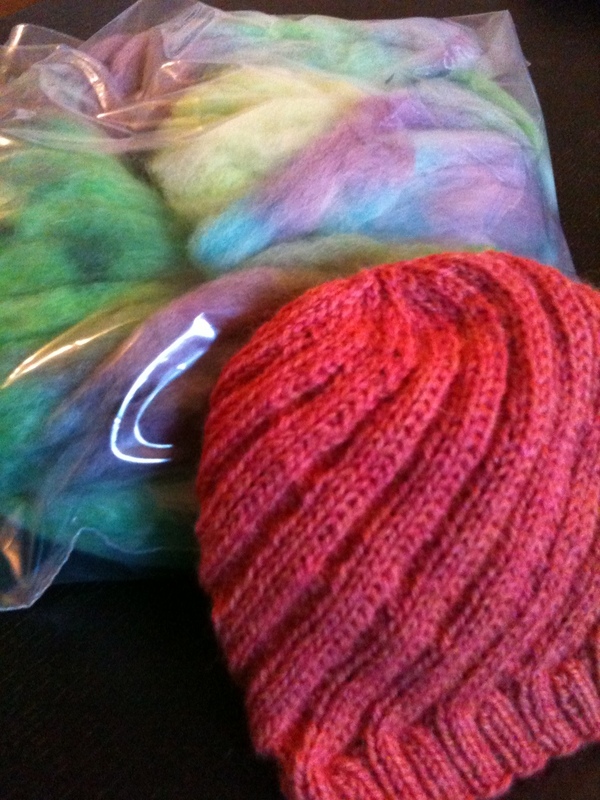 I have hopes of going all Yarn Harlot and setting aside one day a week to practice spinning, which I am still very new at. So new that I’m only using a drop spindle, and have not yet invested in a wheel. 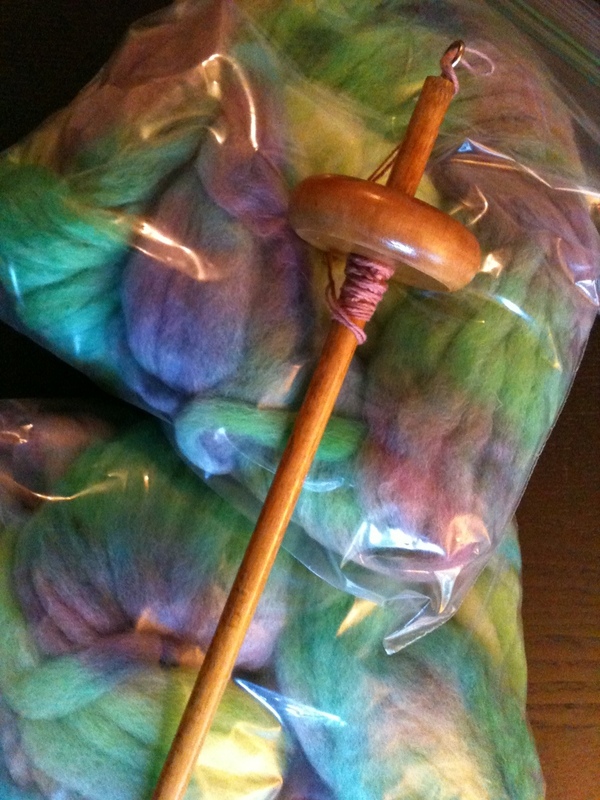 I found the spindle on Etsy (some sellers have really great starter kits), and purchased a full pound of undyed wool at The Village Spinning and Weaving in Solvang, CA on a short road trip my husband and I took in December last year. A few months later I managed to dye it, using the Kool-Aid method (super easy and leaves the wool smelling like fruit!). Finally, I’m getting around to spinning it. Slowly but surely. Progress will probably not be so quick as I have a full week working for The Mouse, and what I really should be doing is working on the wedding blanket whenever it’s cool enough to do so. I will stick to my plan to spin at least one day a week, though who knows what day that will be.